At long last a weight is lifted off my shoulders as I complete the final installment of the African Serenades series. Don't worry there will be more just not quite in the same way. 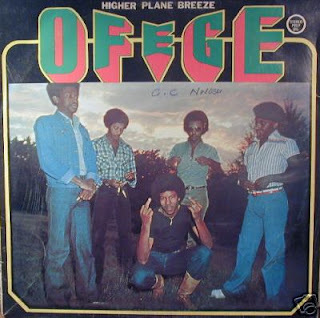 I originally promised Ekki it would stay true to the original Jamaican Serenades ethos of all instrumentals but I wanted to bookend the series with some guitar blow-outs. So here's a collection of mostly out of print titles selected for maximum guitar fuzz and psychedelic thinking. oh yeah... now you're talking my language! unfortunately, i can't download this till tomorrow, but i can't wait to get my mind blown! It's always a good thing when I find a new blog dedicated to Afrobeat. I caught a guest set that DJ Soulpusher did about a year ago on Downtown Soulville, and I've been hooked ever since. I am also all about the comb and razor too. Keep up the good work! A small correction - the artist on track #3 is Rikki Ililonga (from Zambia), thanks for the post dude. fantastic music. i've been downloading for days from your site since i discovered it recently. this has realy reopened my ears for african music wich i haven't been listening to since bhundu boys heyday. thanks a lot. i hope it's not as serious as it sounds when you say you're ending this series. on the 2006 Rewound list i found Bluebeat 45s Series mentioned and i've searched the net for it without any luck...could you please provide a link for it? I am afraid that the link has expired... I keep getting an annoying message from Hydraspace that the campaign has expired. 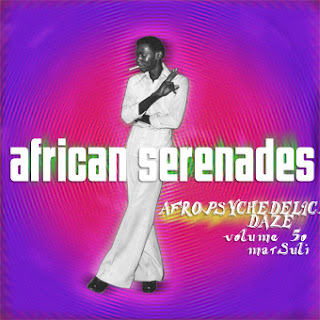 This is a great selection to end the African Serenades series. I took the time to get into a psychedelic frame of mind, and it made the tunes sound even better! Oh man, I have been driving around old London town today with this playing ,and its definately my no 1 start of the summer mix 2007. thanks for all the great music. That's an outstanding collection and a great way to close the AS series. Afrobeat is usually not my style, but this mix is awesome. Thanks so much. What the hell? is this some kind of tease; the last two Af Serenades are already deleted. Seems like we get all of two seconds to grab these. Sorry for the indignation, but every time I come here the stuff is gone. Downloads on this site are now limited to give or take one week or 200 downloads. More about this later in a posting on copyright and wrongs. Contact me via matsulimusic (at) gmail (dot) com and lets see what we can work out.